Are you thinking about buying a Tablet for your child, but are worried that they might be too young and will drop and break it? Worry no more! Just This cover/stand is made of heavy-duty material, the same kind that is used in the soles of high-end sneakers. This means that it can withstand considerable wear and tear and provides extreme shock protection. Designed for Apple iPad Mini 1 2 3 (7.9inch) generation. NOT for iPad Mini 4 or other iPad. - Fashion finished look with various protections for your Mini1 2 3 generation. Two-piece protective carrying case and stand. Crystal-clear, fully integrated screen protector fits over top tablet display. Allows for responsive capacitive touch and keeps your tablet screen looking immaculate. 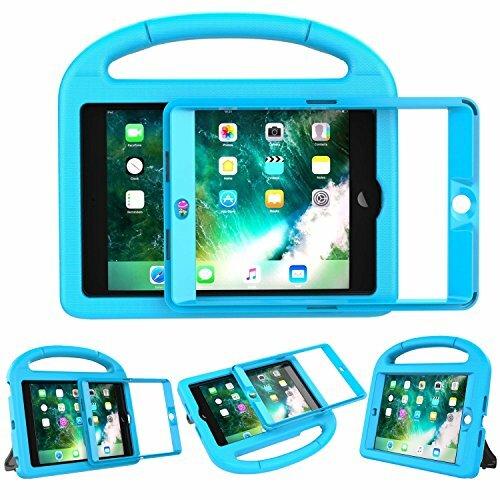 Heavy duty material fully covers the back, sides and extends above the surface of your Apple iPad Tablet which means that the screen will remain safe from scratches if laid on its face.More important, the grip handle can provide a secure grip for the device. If you have any questions about this product by LEDNICEKER, contact us by completing and submitting the form below. If you are looking for a specif part number, please include it with your message.